Asante Kotoko chief executive George Amoako has lashed out at the 'clueless' Normalisation Committee of the Ghana Football Association, claiming the interim body has done absolutely nothing about their THREE CORE mandate. The interim Ghana FA is under mounting pressure over the snail pace of work amid widespread suspicion of setting themselves for an extension of their six-month mandate which expires on March 31. The four-member committee is yet to kick in motion the three principal mandate after being appointed by the world governing body, FIFA in August last year. Instead, the committee has been engaged in several 'fruitless' consultations with stakeholders while drawing their fat allowances for apparent no or little work done. The committee announced a controversial six Adhoc committees last week to aid the interim body execute their mandate - a move which has received its fair share of criticism. Popular journalist Kwame Sefa Kai and renowned lawyer Kwame Ntow Fianko rejected the appointment over lack of proper consultation. There are no clear signs of a roadmap, leading to an election of a new president and executive members with the Normalisation Committee firmly interested in organising a Special Competition in a clandestine move to water down on the weight of expectations on their shoulder. 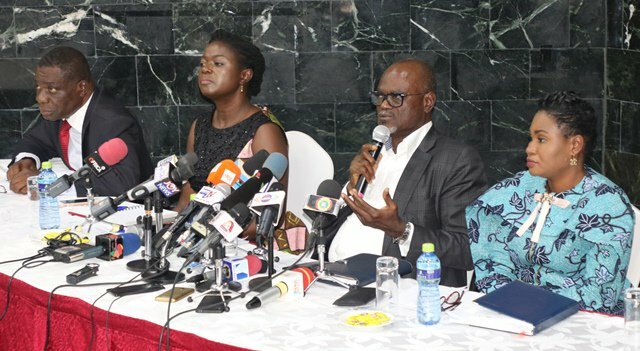 It appears the committee will seek for an extension amid fears the remaining two months won't be enough to normalise football after its collapse following an investigate piece by controversial journalist Anas Aremeyaw Anas. And Kotoko chief George Amoako has been left unhappy with the clueless approach from the four-member committee. "Practically, I don’t see them completing the job by March. I don’t see it. It’s not going to happen. "They are not moving fast enough to get where they have to get to. Which reforms have come in terms of regulations, constitution and statutes? What are you going to move forward with ? It’s the regulations and co. Have you had it? "Even the draft for people to read through and discuss is not done so how are you going to conduct elections. Based on what? "There was a scandal (Anas Expose on corruption in football) which led us to our current state but has the issues been resolved.. People have been caught on tape. What does it mean? "There should have been an Ethics Committee sitting to review and to go into all those issues to vindicate people or to convict people to know who passes the integrity checks so we can know who qualifies to stand for the election or not. Have all these things been done? FIFA appointed the four-member Normalisation Committee on August 29, 2019 with a three CLEAR mandate devoid of ambiguity. They are to run the GFA’s daily affairs and cooperate with the special task force once it has been set up by FIFA, CAF and the Government of Ghana. Again, the committee is to review the GFA statutes to ensure compliance with the requirements of FIFA and CAF, particularly art. 15 of the FIFA Statutes, and once the GFA statutes meet the requirements of FIFA and CAF, to organise and conduct elections of a GFA executive committee on the basis of the revised GFA statutes.